Emily Williams discusses her debut novel, Letters to Eloise, which is a love story told through a series of letters. Williams, a teacher, enjoys spending her spare time in the countryside with her two young children and animals. She studied at the university of Leicester, as well as Sussex University. What is Letters to Eloise about? 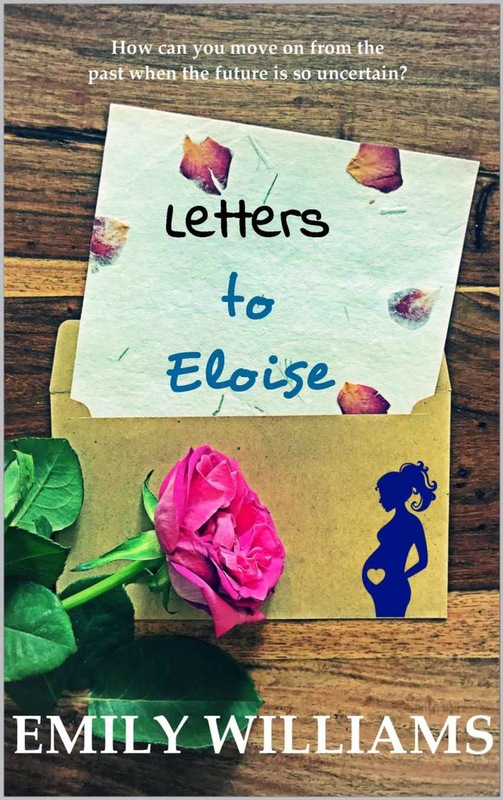 Letter to Eloise is an epistolary love story. Flora, the protagonist, finds herself pregnant and alone whilst completing her final year studies at university. She is desperate to reconnect with her past love, River, but has become entangled in a relationship with her university lecturer. He tantalises her with quotes taken from the ancient love story Abelard and Heloise and Flora is swept off her feet. Flora is torn in so many directions, and finds comfort by writing down her experiences and reliving her past in letters to her unborn child. Are you similar to any of the characters in the book? I wrote the book as if Flora was me. I always wanted to start a family and was told I wasn’t able to conceive. By imagining I was Flora, I could experience the pregnancy through her eyes. I’m not sure I am so calm as she is though, I probably do have more of a temper and less patience! She had similar hobbies and passions to myself and is a bit of a daydreamer like I am too! Brooke would be the complete opposite of me and she was great fun to write! Is there a message in this book you want the reader to grasp? I think that the message I wanted people to grasp was to never let go of something good and that always live life to the fullest. Is this your first novel to be published? Letters to Eloise is my debut novel. I am hoping that my next novel, my YA charity novel, will be published later this year and my psychological thriller by early next year. The most difficult part for me has been marketing and embracing social media! When I fell pregnant, I deleted my social media accounts so I could have some privacy. I was in a new relationship with a difficult pregnancy and wanted to keep this all private. When it came to publishing Letters to Eloise, I realised that had been a big mistake. I had no online presence at all, which isn’t good for a new author. I had to quickly explore social media options and become a regular user. I still limit the time I spend on private accounts but I have defiantly embraced the marketing side now with both arms wide open! I actually love it. As it’s all about reading and writing books, it is a safe place for me to chat and meet people. I still shy away from posting updates about myself/family etc but happily can talk about writing all day long! Looking back, I realise it was all about my desire to have children but not being able to. I was so lucky to fall pregnant after just finishing the first draft. I found the book impossible to look at after then as it brought up such emotions. I always wanted to write a book and when the story line came to me, Letters to Eloise practically wrote itself! Where did the title of the book come from? I always had the title Letters to Eloise in mind when I first came up with the idea. I never questioned the title as it fitted the book perfectly. Whereas with my next novel, I’ve changed the title nearly everyday! I obviously had to think of the name for Eloise first, but after I came across the name, I’ve loved it ever since. I also like the name Elodie, but the meaning behind Eloise gave me the Abelard and Heloise links to the story. When I was in Year 4 or 5 so that probably makes me around 7-9 years old. I’ve always known. I just didn’t think at the time that it was possible to make a career out of writing. I wish I’d realised this earlier! My parents. They have read everything I have written. They can be quite critical sometimes, so I do like their opinion! They are good at offering advice, though I don’t always take it! Negative feedback is always hard. I remember sending Letters to Eloise off to publishers when I’d finished the first draft and one replied saying they’d like it, but could I possibly re-write it making the story set a hundred years ago. As Letters to Eloise relies on medical technology for some parts, I just didn’t see how this was possible. I did feel like giving up at that point and put the book aside for a couple of years. Is writing a full-time career or do you have another job too? I am a part-time teacher, working in primary education. I do hope in the future writing will be full time, although at present I am content helping others to develop their love of reading and writing! I am suffering from health problems with painful swollen wrists and joints, which are limiting my ability to work effectively. I’m hoping that the writing side (using voice recognition software) can take over so I can take a step back and concentrate on the novels. I am reading a fabulous YA novel by Chantelle Atkins called The Tree of Rebels. I’ve been totally sucked into the story as young Lissie finds hope in the form of a tree in her post Endless War world. Fab! The book is out later this year so watch out for this one! Who is your favourite author? Have they influenced your work? I have many favourites, so I think it depends on my mood. I like a good romance in the summer and when on holiday. I also like a thriller and more psychological stories with twists and turns. I used to belong to a local book club and read a range of genres that I would never have considered before. They opened my eyes and have broadened the breadth of books I chose now, which has enabled me to develop my own style as a writer. Cecelia Ahern’s novels were always fantastically imaginative and she was able to portray the worlds and stories she created so visually. I had a couple of friends pregnant at the time of writing Letters to Eloise so I asked them to keep notes of their journey for me. After having children, and when I returned to the novel, I went through and changed many details I had wrong about being pregnant. There were several other people I contacted during the research (I won’t give plot spoilers!) but they provided valuable information and personal experiences. The historical references were thanks to the translations from ‘Sacred texts’, and the local history links thanks to the local Heritage Journal. 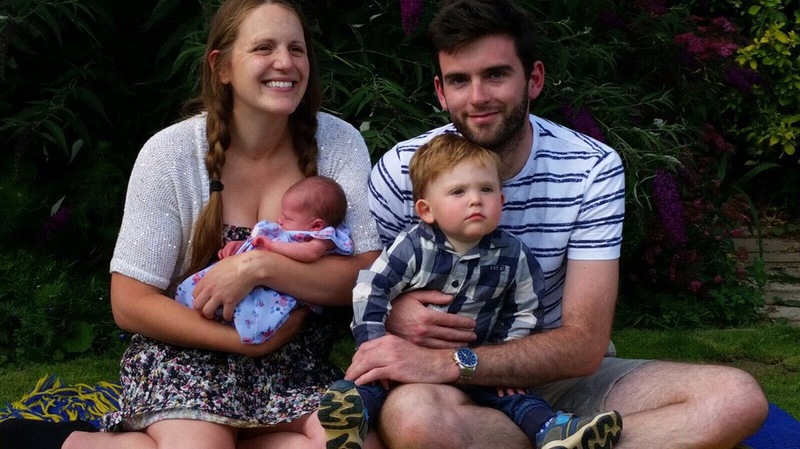 Overall, it took four years to write and research Letters to Eloise, and the experiences of having children really helped me give depth to Flora. I read and appreciate every book review I receive and I celebrate and learn from everyone. I have had a few tough comments but most I understand and can develop my writing from. The good ones have me jumping around the room in excitement! I’ve been lucky to have many of these! I don’t write in sequence. I have found that writing in an odd order helps keep my motivation! I just means a lot of sorting out and checking for consistency afterwards! I’d written the last pages of Letters to Eloise earlier on, so as I was writing the earlier parts, I could let the emotions seep in. One Day by David Nicholls. I love the book and the relationship between Emma and Dexter. Hard question! This has probably changed along the way since I’ve grown up and there are so many! I know Flora so well as a character so she’d be my favourite but that’s probably cheating as I created her! I love Emma from One Day, she is dry, witty and sarcastic but with a heart of gold. Plot has come first, but then as a character develops, sometimes the plot has to change to accommodate their ideas! Brooke is an example of this; she butted her way more into the story Letters to Eloise, than I’d planned! I always map out the plot and then develop character pages. As I’m going, I work from a chapter grid that I can add to and swap around to make things flow. Sipping wine outside our rural chateau in the South of France, whilst I type (dictate!) my tenth novel! What do your family and friends think about your work? I think they’re very proud! At least I hope they are! I’ve had some lovely comments from family members after they’ve read Letters to Eloise. Who designed the cover of the book? Did you have any input? I took A-level design at college, although I’m probably very far behind the times now, but I enjoyed making the cover myself. I know exactly in my mind how I wanted the cover to look, I just lacked the technology to help me! I have several more technical savvy friends that offered me help in this respect. A couple of pieces of advice! Believe in yourself is most important, and start early with everything! Lay out a plan for a realistic release day, and then work backwards with dates. Remember that it takes time for beta readers to get back to you, edits take time to correct and that everything needs to be ready before formatting for eBook and paperback. Decide when to market and have promotions etc well in advance of the final release day. Get those advance reader copies out early. I have made mistakes along my journey but learnt so much with Letters to Eloise and I am so delighted and proud of the end result, finally! Other than writing, do you have any other hobbies? I am huge animal fan and we have many different pets. We walk our collie and spaniel everyday for the family to wear off some energy! I used to ride, and we have two horses, but after a riding accident, I haven’t ridden as much as I would like. Maybe one day, when my wrists are fixed, I’ll be able to take up riding again. At the moment, I am content with breeding cockatiels, raising the chicks and spending time with our other animals. Do you have anything specific you would like to say to fans of your book? Just a huge thank you! I wouldn’t be here if it wasn’t for all the support I have received from my readers and the fantastic book bloggers out there, such as yourself. I am immensely grateful. Yes, you can find me on emilywilliamsauthor.blogspot.co.uk where I will be chatting all things book related! I’m also on twitter @EmilyRMWilliams and update my author page on Amazon too. A review of Letters to Eloise will be posted soon. Let me know what you thought of the book by commenting below or tweet @bookwormgirl_24.